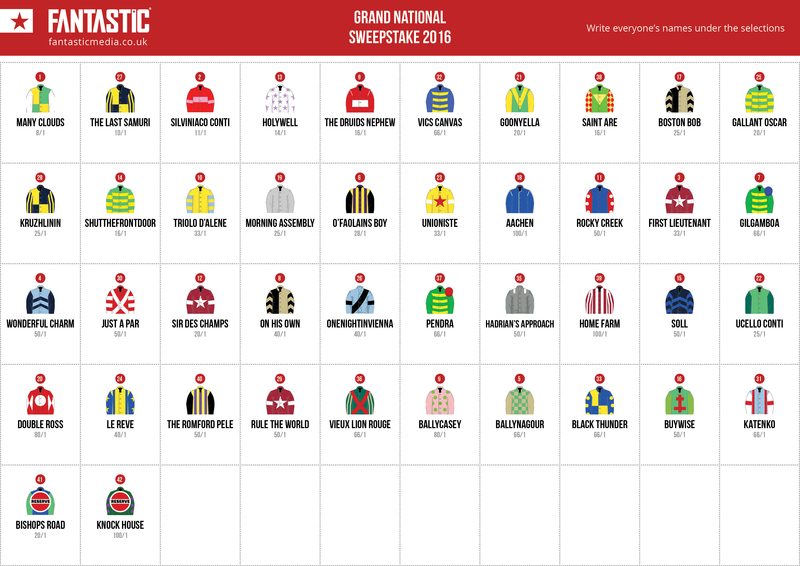 Ladies and gentleman, it’s time to place your bets for the biggest race of the year with our Grand National Sweepstake Kit! This year there are 40 runners and riders all of whom are aiming for Grand National glory. Creating your own office, family, mates sweepstake from our kit could not be simpler. Will Many Clouds make it two wins in two years? Or will First Lieutenant or Silviniaco Conti take the £1m prize money? Simply tune in to Channel 4 this Saturday (9th April) at 5:15pm for this classic from Aintree.